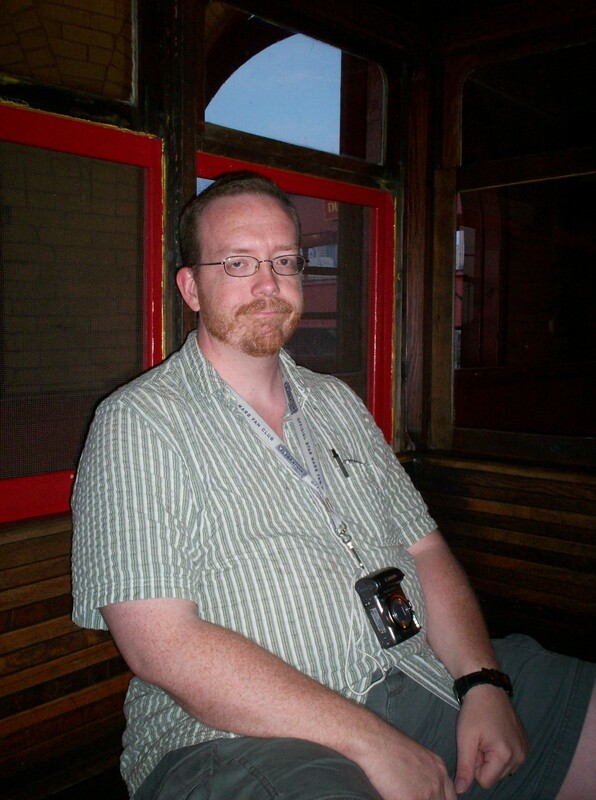 Our 2010 Road Trip, Part 2: Steel Glances « Midlife Crisis Crossover! We don’t mean to be pushy, but our Chamber of Commerce is concerned about your frown lines. Our first stop was in the town of Bentleyville, location of our first hotel of the week. The statue in our lead photo stood out front to greet us. 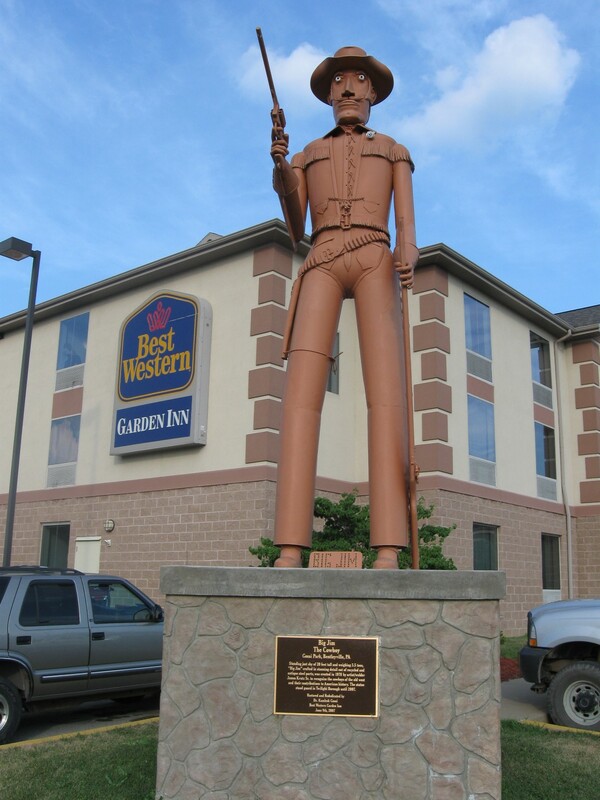 This 1978 recycled-steel sculpture called “Big Jim the Cowboy” — the 19-foot-tall, 3½-ton creation of one James Krutz, Sr. — previously stood in a nearby borough called Twilight until 2007, when it was relocated to the hotel grounds due to lack of sparkle. His presence was an unexpected bonus upon our arrival. We opted out of the shower invitation and returned to the hotel so I could stare at my maps and directions and attempt to divine at least one evening activity for us. More than in previous years, I’d had a hard time memorizing the layouts and directions for all the cities, towns, and sites we had available to us. 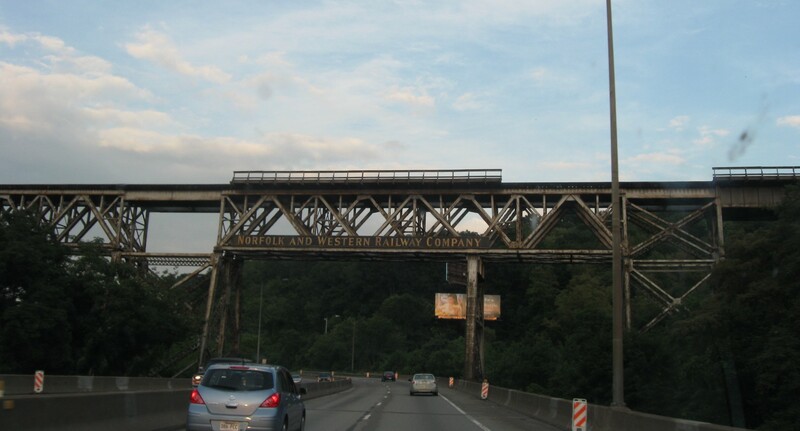 After much staring and thinking, I finally realized why I couldn’t get myself oriented with my Pittsburgh materials: city officials had renamed one of their interstates. According to older documents, I-279 and I-376 were two separate stretches on either side of the city. However, at some point additional lengths had been constructed to link disparate stretches, after which time six miles’ worth of I-279 was renamed I-376. This update was accounted for in the MapQuest directions I’d printed out, but it predated the maps I got free with my AAA membership and the additional supplements I’d bought from Rand McNally. I wish I’d known about the update before we left home. We didn’t own a mobile phone or a GPS device, so I had to plan the old-fashioned way, the best I could with the available materials. This process took me several long, boring minutes in which I’m sure I looked clueless, but I worked through it. On a related note, Anne looks so cute when she’s panicking while I multi-task. 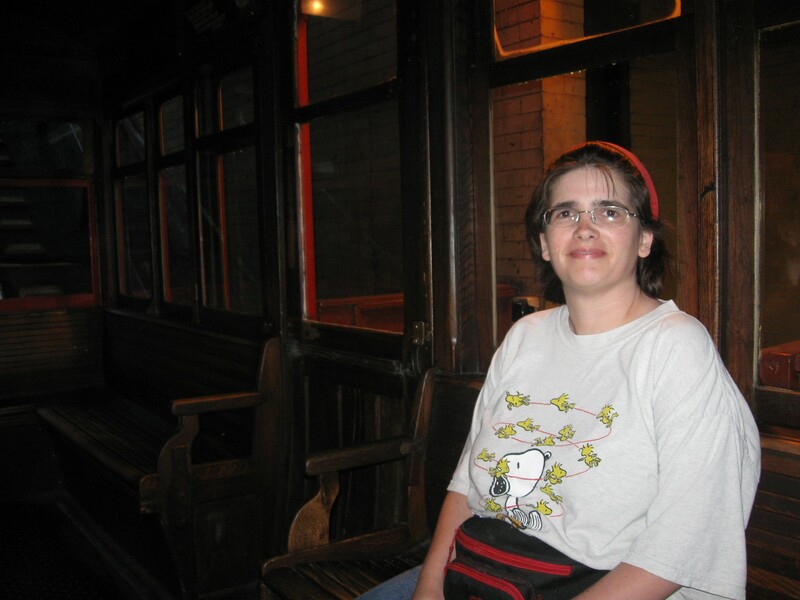 Once I’d reconciled the mapping issue, I drove us up into Pittsburgh and toward one of the sightseeing options on our list. 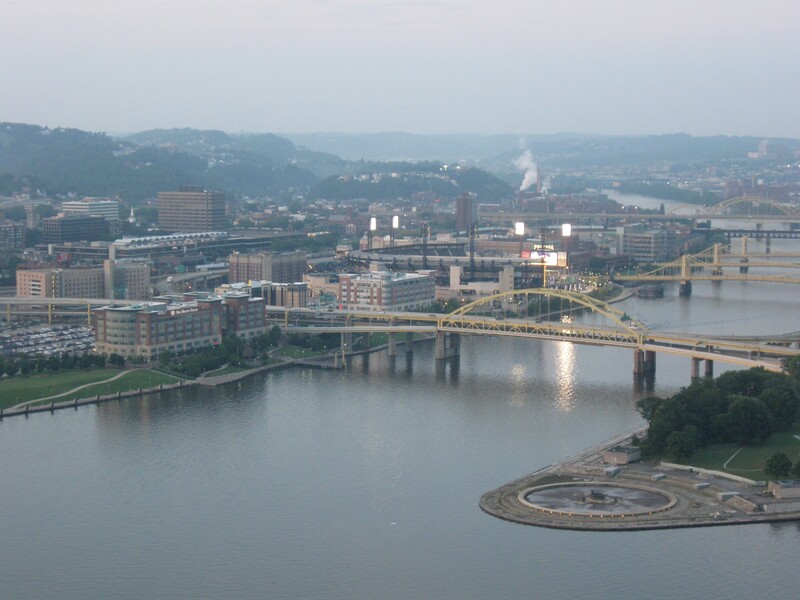 Pittsburgh is often nicknamed the City of Steel, but I understand some refer to it as the City of Bridges. I had hoped for Jeff or Lloyd or even Todd, but this one would have to do..
Traffic was not an issue, though roadside omens warned us of grave consequences if we should falter. 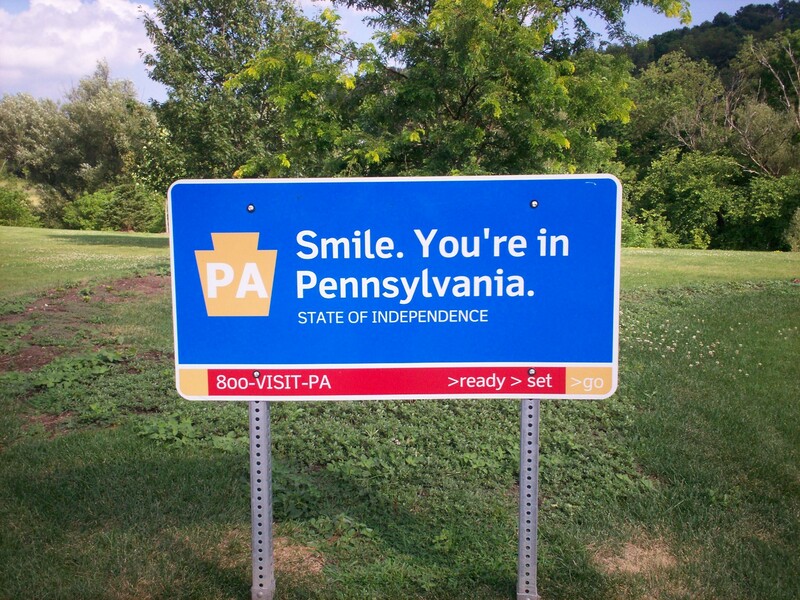 As I barreled down I-376 and angled toward the sharp turn into exit 69C, I had to swerve around a van that had parked at the foot of the exit. Standing next to the van’s driver’s side were two teenage girls, crying and distraught. Behind them and past the ramp was a dirt mound several feet tall. Against the side of that hill was the girls’ car, spiked into the ground at an 85-degree angle, its front wheels whirling in midair, headlights still on and pointing heavenward like beacons trying to attract air assistance. That one-car accident couldn’t have happened more than two or three minutes before we pulled by. I felt bad about not stopping, but they seemed physically unharmed, someone else had already stopped for them, and, again, we didn’t have a phone to call their families or any trained helpers. Anne threatened me if I dared take a picture and exploit their automotive calamity, mostly because she preferred I keep my eyes on the sharp exit ramp so we wouldn’t reenact their incident. 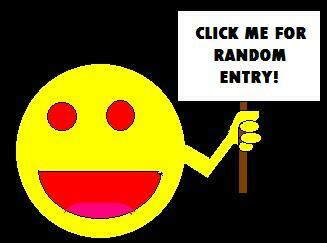 With that image haunting me, I stayed pretty rattled for the rest of the night. I passed our intended stop once, turned around several blocks later, and finally focused long enough to turn into the free gravel parking lot for the Duquesne Incline, an old-time truncated railroad to a scenic overlook atop Mount Washington with a great view of downtown Pittsburgh in all its steel-driving sports-loving glory evocative of Billy Joel’s “Allentown”. 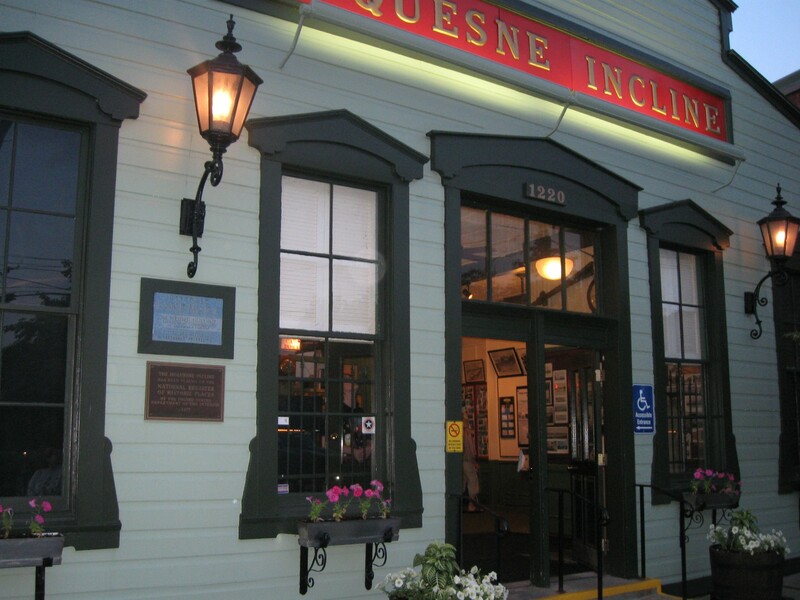 The Incline’s homey ticket office and its proud National Register of Historic Landmarks sign. The tracks up Mount Washington, first laid in 1877. …and we guys had our half. Not pictured: the boy. 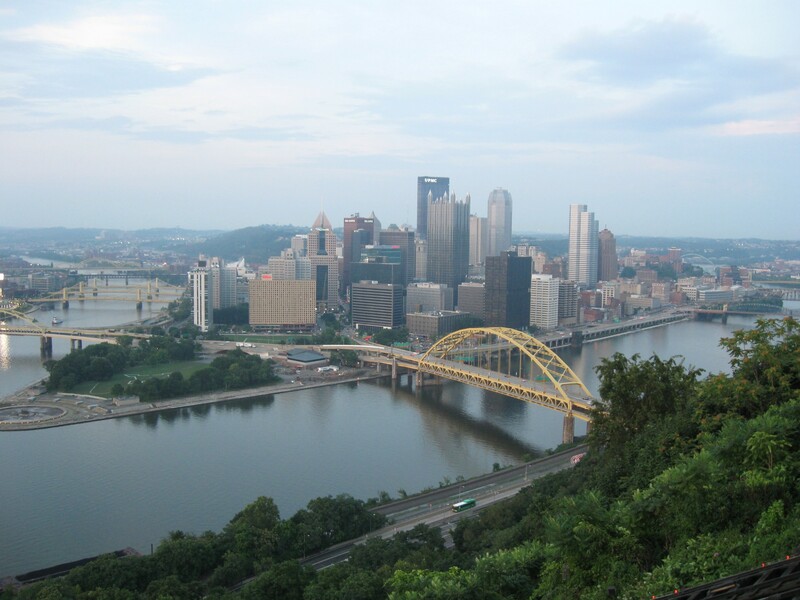 The grand view of Pittsburgh from the Mount Washington overlook, featuring the sports arena side. Downtown Pittsburgh. We’ll return to that in a later chapter. The Incline’s office at the top of the hill housed a few framed pictures, photos, maps, and documents arranged on the walls not unlike a museum. Staffing was minimal and their gift shop was mostly candy. We paused only long enough to explain to my son what the Whiskey Rebellion was, based on its commemoration on these walls. Twilight was imminent by the time we returned to our car. Anne was a little frustrated that our day had yielded only a single Pittsburgh attraction. I hadn’t been optimistic about the day from the start — Pittsburgh’s basic tourism materials hadn’t offered a lot beyond sports and nature, and our late arrival eliminated everything else for the night. I admit I was disappointed that I hadn’t taken more time to dig more deeply into our resources and provide something else memorable to cap off our Monday. Alas, we merely headed back to the hotel to recover and pray that our next day would be even better. That night on TV: an endless TV Land marathon of The Nanny, a show about a helpless guardian in charge of other defenseless people despite minimal qualifications. 1. Today we of course have smartphones that aid our travels tremendously. Friends who knew us back in the day, and how we used to talk trash about smartphone addicts, now have full mocking rights with us. It would prove a necessary evolution for us, though. Rand McNally stopped selling maps years ago, and the makers of MapQuest pulled the plug on the last remnants of usefulness from its desktop PC version early into 2017, thus dismissing themselves from our bookmarks. 2. 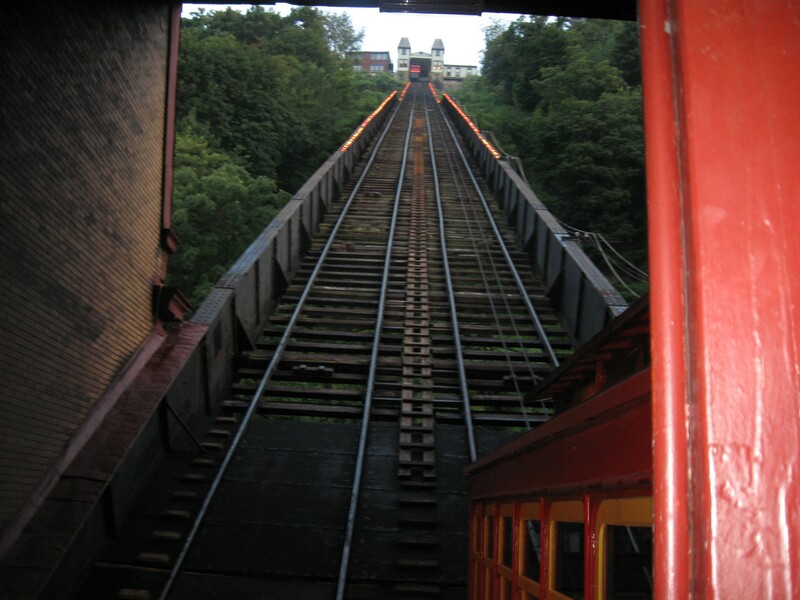 For those who get nostalgic at the mention of MapQuest and are now in the mood for more online antiquities, the official site for the Duquesne Incline is written mostly in Comic Sans.